So months and months ago you may remember I did a Sunday Morning Routine which seemed to be quite popular so this month, now the nights are drawing in, I thought I’d share with you my evening routine. I am a creature of habit, I don’t deviate from this routine often and if I do there better be a good reason. Most of the time I am either at Uni or working in the day, I’m usually home in the evening and if Josh comes to stay he finishes work at 5 so it means we get to eat tea together. Before we eat however we usually just chill out for a while with my housemates watching quizzes like the Chase( I know how thrilling!). On a typical evening we’ll probably make some food together, something like Nando’s Wraps, Stir Fry or a Curry, I like cooking from scratch, I find it something fun to do and it can’t be bad to get proper nutritious food into you can it? Even if Josh doesn’t come round after work I’ll still cook for myself but usually I take advantage of the time and cook something he hates but I love, like Chilli. After we’ve eaten tea, I try to wash up afterwards as I hate leaving them for the next day but sometimes it just happens and we can’t be arsed. Next I like to go and take all my makeup off, don’t get me wrong I love wearing makeup I just find it fun to apply and try new things but by the end of the day I am always so ready to take it off and feel nice and fresh faced. 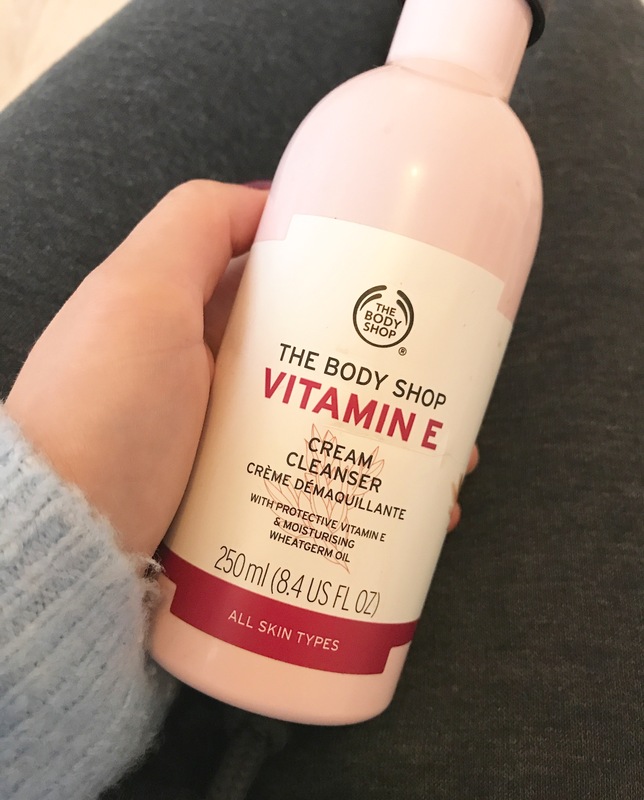 At the minute I’m using The Body Shop Vitamin E Cream Cleanser, this is super gentle and leaves my skin feeling so soft. As much as I love it though I might stick with my other Body Shop fave, the Camomile Balm in future as I feel like that works better for removing eye makeup. Then I like to either jump in the shower or the bath, I am more of shower person in general just because I struggle to wash my hair in the bath as it’s so long but if I fancy a pamper and time to relax I’ll opt for a good old Lush Bath Bomb. 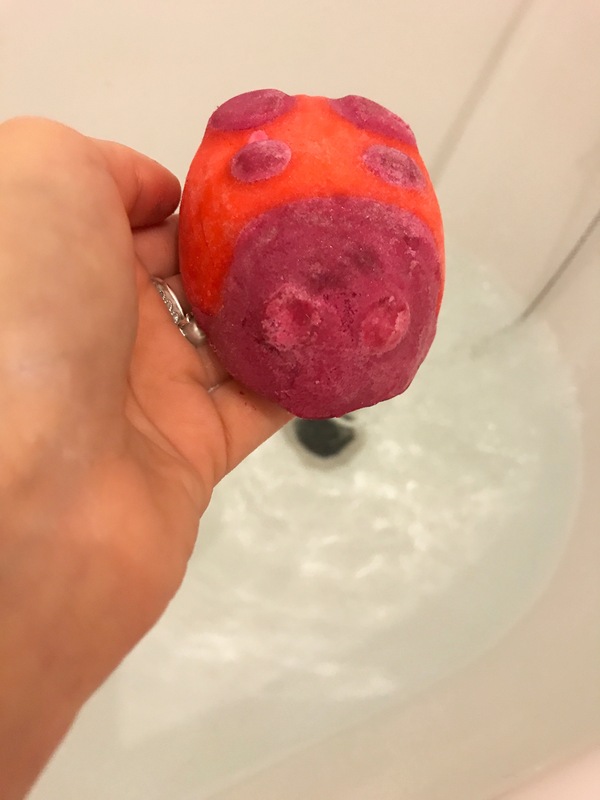 Last night I went for a Limited Edition Valentines Day Ladybird Bubble Bar from Lush which the lovely lady who I complemented a while ago gave me as a Thankyou present. This made my bath smell amazing and turned it the most gorgeous pink shade, I’m really hoping it makes a return next year because I will definitely be stocking up. I also like to listen to some music or a podcast while I’m in the bath and just take half an hour out of my day to chill, I’m thinking of doing a blog post on my favourite podcasts if anybody would be interested? I’ve recently been using the Superdrug Coconut Water Shampoo and Conditioner which smells lovely and seems to be keeping my hair in reasonable condition. I also like to use Lush Mask of Magnaminty whilst I’m in the bath because I feel like the steam really opens up my pores to allow it to work its minty magic. Anyway enough about my bath, lets move on, once I’ve had my bath or shower I’ll get nice and cosy in my pyjamas and dressing gown and then depending on who’s in or if I’m with Josh I will usually either read my book, catch up on some Youtube or continue watching a series. 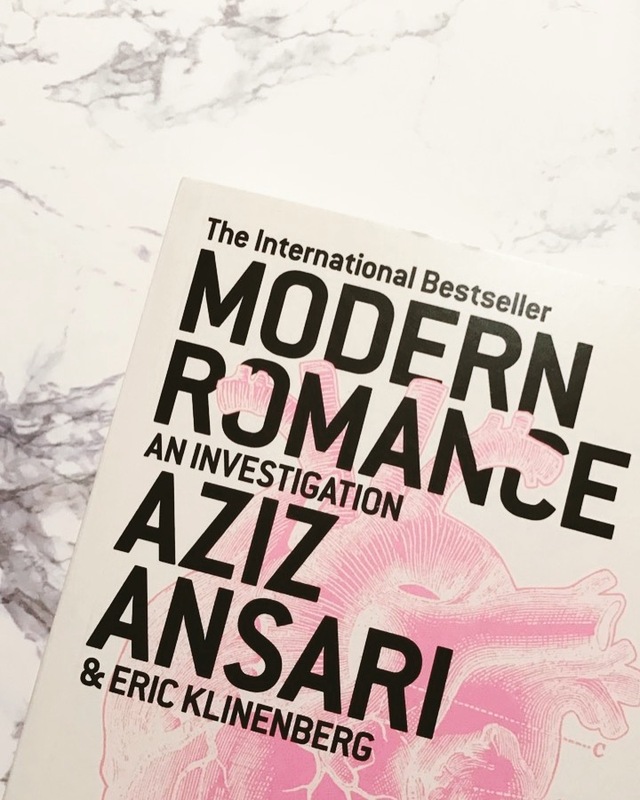 My current nighttime read is Modern Romance: An Investigation by Aziz Ansari, it is very funny and tells the story of modern dating compared to previous generations including some very funny screenshots of some text conversations, if you’re looking for a lighthearted book I would recommend this one! However, last night me and Josh watched the next instalment of Liar (it’s getting soon good!) but some other things we like to watch include Suits, Narcos and the occasional funny series like Outnumbered. We usually have plenty of cups of tea and snacks while we watch, however now I live in a house of 6 plus boyfriends and friends you often get stung for making everyone a cuppa at the same time. My sleep pattern seems to be reasonably good this year (despite the small hiccup that was freshers week when I went to bed at 4am everyday) so I don’t stay up super late like I used to. However I do prefer it as it means I have my mornings to work through any tasks or work I need to do, leaving my afternoon and evening free to chill. So yeah thats about it, short and sweet, nothing too crazy or exciting to report but I just thought I would share it with you. Ironically tonight I won’t be doing any of this as I’m off out to a gig with my besties Sam and Danielle so we won’t be home until later on. Let me know if we have a similar routine or any ideas of other things I could be doing, let me know in the comments below! Isn’t it always nice to wind down? I’ve been seeing Aziz’s book for about two years, but never picked it up. Thank you for sharing some of your thoughts! You’re welcome you’ll have to let me know if you end up reading it and what you think! Yeah exactly my idea of the perfect evening haha, yeah I saw it a couple of months ago and heard some good reviews! I have had my eye on that book forever! I am definitely going to have to take the leap and check it out now.